The practical session for this hybrid course is held on campus. Natural elements around the campus combined with the more urban features create a unique learning environment for the rescue simulations. Lodging: No onsite camping or lodging is available on campus. There are ample hotels and Air B&B options nearby. Meals: Meals are not included with the course. There is offsite dining options within a 15 minute walk from the Waterfront Activities Center. 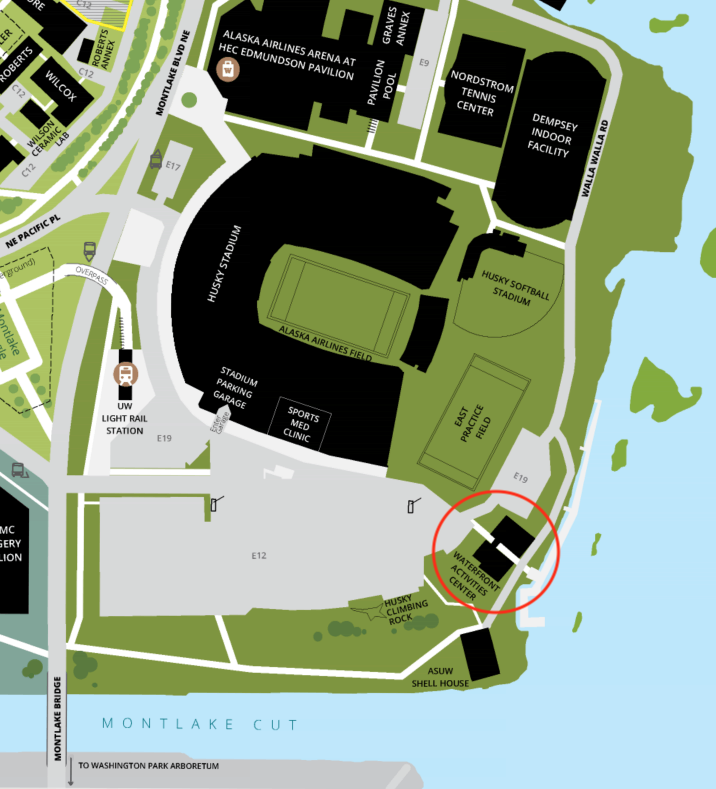 Classroom: The classroom is located at the Waterfront Activities Center (WAC) just south of Huskey Stadium and less than a 5 minute walk from the UW Light Rail Station. Parking: There is ample pay parking on site.